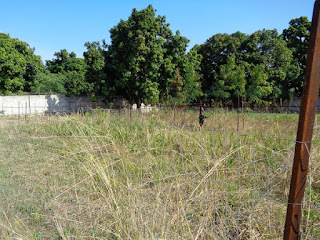 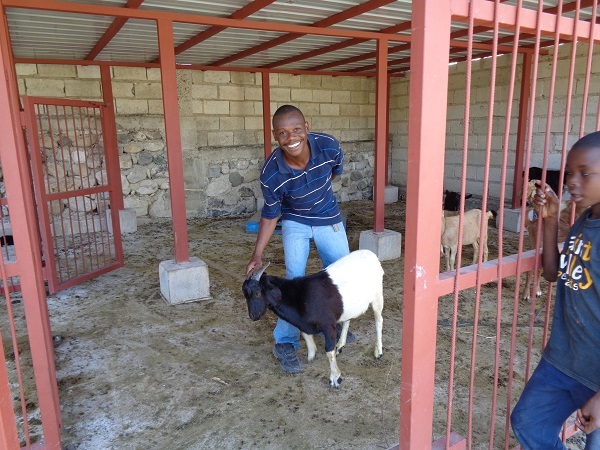 Haiti ARISE has a 2 acre goat farm that is now in operation for the first time since the earthquake of 2010. A group of very dedicated people who lent their expertise in the various areas of goat husbandry and agriculture have helped the progress of the project. The goat farm will raise quality goats that can be used for breeding for good goat meat and for teaching how to best raise a goat. There are 15 goats in it. 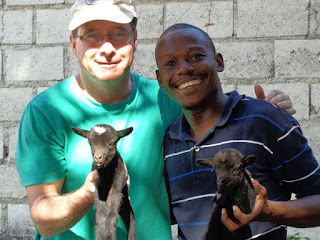 The administrator for the goat farm and the gardens for Haiti ARISE is Berge, who is a university educated Haitian with a degree in agriculture and goat husbandry. 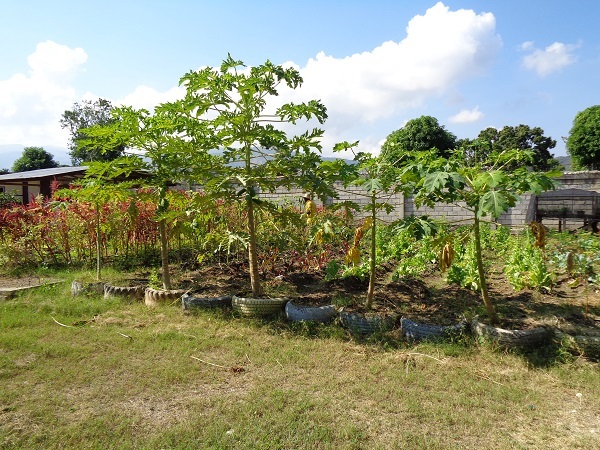 He was educated in a city west of Grand Goave, but moved here once he was hired. He is always smiling and always on the move (on his bicycle) between the gardens on this campus and the goat farm. 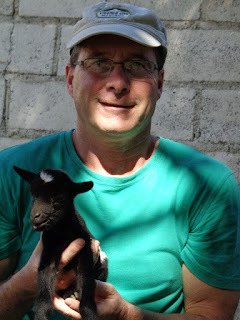 A goat project will be started as well....a grade 4 girls (that are interested) will take a course on how to raise a goat and if she is interested, will be given two 5 gallon pails and a rope. 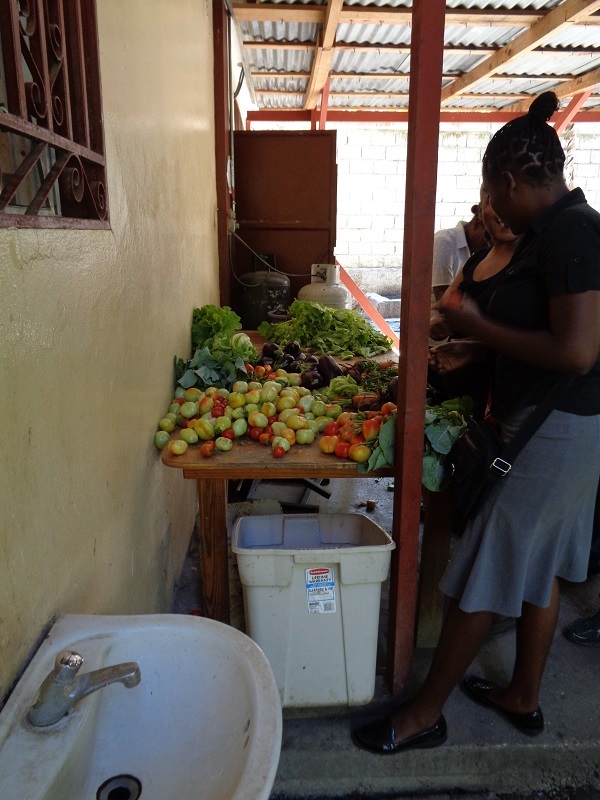 The pails will be for water - one for her family and one for her goat. 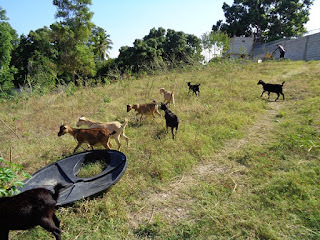 She will have the responsibility of feeding and watering the goat and hopefully her neighbors will notice that her goat is plump and healthy looking and will want to start doing what she is doing with their goats.